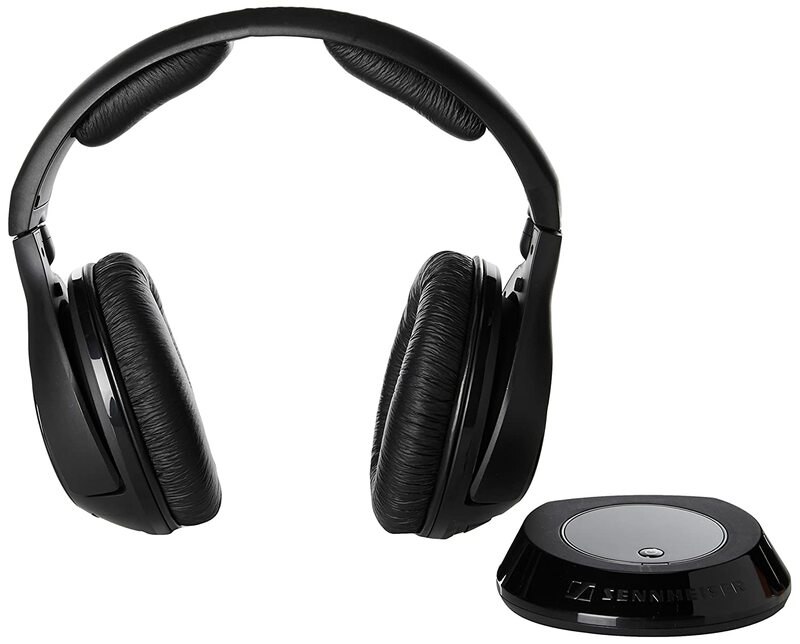 This is by far one of the best wireless home theater headphones you will find in the market. They don’t just sound great with your TV or music player, but they are also quite affordable. You can get your hands on this bad boy at the price of $175 from Amazon. So let’s take a look at why the Sennheiser RS 160 is so highly rated by movie lovers out there! Like other in RS series, the Sennheiser RS 160 provides users with a good degree of noise isolation, but not that great like RS170. The oval earcups are a good fit for anyone, and the padding is pretty good and soft. The closed design and strong padding are what enable the RS 160 to lock sound in and isolate the ambient noise. One great thing about the RS 160 is that it is very comfortable regardless of the user’s head shape. Different users have all described them as having a nice snug fit and being very easy to use. They are also light in weight, with strong ear pads that are nice and squishy. There are some headphones that begin to pinch or chafe if worn for too long, but the RS 160 is definitely not one of them. It is fine if you wear them for a 2-hour movies. The headphones have their own power button and volume control buttons. You should be careful when adjusting the volume as most people complain of accidentally hitting the power button instead. However, this is not a deal breaker. The transmitter of the RS is designed to resemble a hockey puck; small in size and inconspicuous. This is thanks to KLEER technology. A lot of other wireless headphones use Radio Frequency technology, therefore are designed with towering bases which can sometimes be hard to find space for. The transmitter is portable and comes with a 3.5mm jack that enables fast transfer to another sound system or TV. The transmitter incorporates its own power and volume buttons on the rear if you prefer to boost up your audio limit. This set of headphones gives you 24 hours of battery life as long as you give it 16 hours of charge. A Y-shaped split power cord is provided that allows the transmitter to be charged from one end and the headphones to be charged from the other end. As mentioned before, RS 160 incorporates KLEER, which is a short-range, 16-bit transmission. The good thing about KLEER is that it ensures minimal interference, better audio quality than Bluetooth, and allows more than one headset to be paired at the same time (allows a total of four headphones to be paired). The drawback of this technology is that once you start to move farther away from the transmitter, say to another room, the sound starts breaking up. Users who feel the need to wander far while enjoying their entertainment may want to go for headphones that use RF technology, as it has longer range. The RS 160 is by far the best sounding wireless headphone for TV in this list. Its frequency response sounds almost dead flat, and considering its price, its way better than some of the pricier headphones in the market. It has clear and clean highs, with balanced and well-represented mids. Its lows happen to be rich, smooth and full, but not too overpowering. One drawback with the sound is the lack of Surround sound capabilities. This article is about the stuff we think you’ll like, and it is about home audio headphones–the headset for home use rather than portable use.